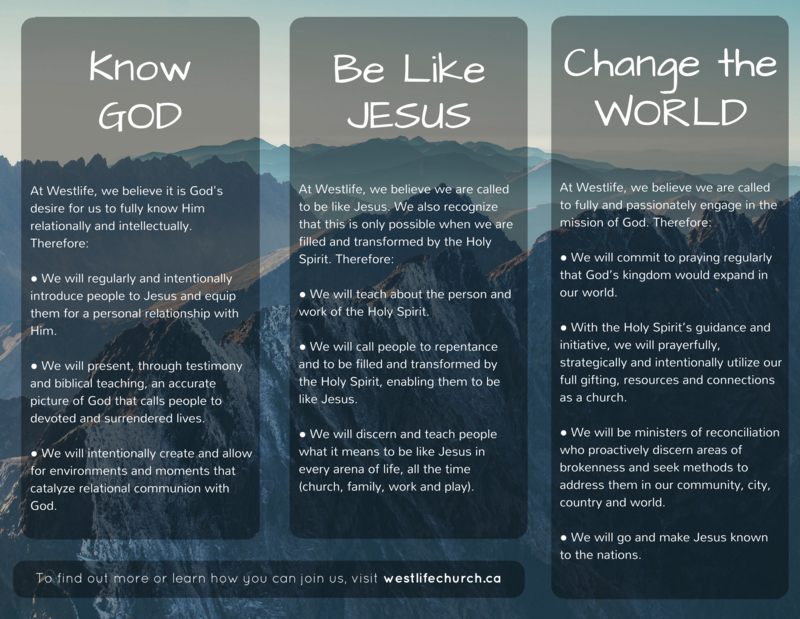 Westlife Church is part of the Christian & Missionary Alliance in Canada. Please take the time to discover more about our amazing family of churches. You can also read our Statement of Faith to find out what we believe.